Sometimes the best gift is one that takes you away…literally! 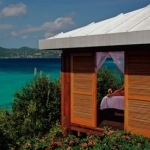 I love to travel and would be thrilled to get a gift certificate that would promise me a vacation or respite at a spa. Do you have a traveler to shop for this holiday season? Here are a few ideas to inspire you…. For the spa lover, whether it’s just to unwind and enjoy the ambience, take a yoga class, or get a massage…the gift of relaxation and pampering never goes out of style. Eau Spa by Cornelia (pictured above) is a 42,000 sq. 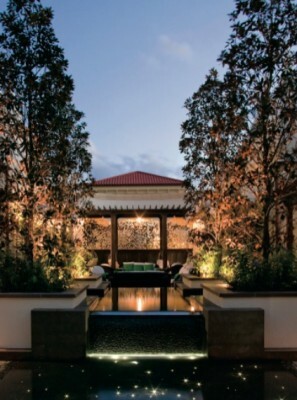 ft. spa wonderland located at The Ritz-Carlton, Palm Beach. 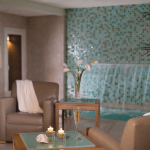 Eau Spa by Cornelia combines sophisticated salon styling with serious, results-driven skin, beauty and body care. To learn more about Eau Spa by Cornelia, please visit www.eauspa.com. Anybody that travels will appreciate getting TSA-approved sizes of their favorite beauty products. 3FLOz.com is a website devoted to carrying the beauty brands you already use in sizes that are TSA-friendly. 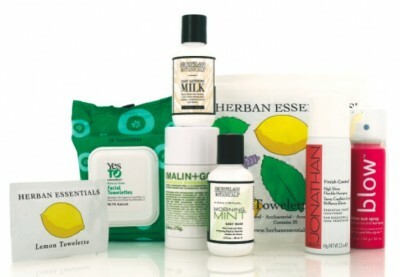 Since all the products are in deluxe-sample sizes, it’s also a convenient way to try new beauty brands. A wonderful travel book is always a great gift. An excellent suggestion is THE GLOBETROTTER’S GET-GORGEOUS GUIDE. Filled with beauty tips, product recommendations (I was a contributor! ), and practical travel advice, this book is a fun read that any traveler or your BFF will love. Available at Amazon.com. If you live in the Midwest and have had it with the recent bad weather–head for the sun, but remember to pack the sunscreen! 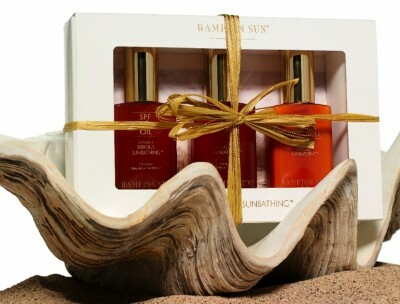 The Hampton Sun Mini Travel Set is the perfect stocking stuffer for the sun-worshipper. With travel sizes of SPF 8 Gel, SPF 15 Lotion and After Sun Moisturizer, at $28, this set is luxurious and chic. Available at Sephora.com . Whatever your destination, a Cashmere Travel Wrap from White + Warren is an indispensible, multi-tasking luxury. It’s the perfect size for a travel blanket on a cold plane or wear it as an elegant shawl for evening or as a wrap over a strapless dress. The Cashmere Travel Wrap comes in a variety of colors and retails at $275. Available at www.whiteandwarren.com. If you actually wanted to purchase a travel getaway for a gift, there are now “flash sale” websites that are invitation-only, time-sensitive sales featuring great deals on hotels. GiltGroupe has Jetsetter, where you can find upcoming sales on properties like Stowe Mountain Lodge, cruises on the Yachts of Seabourne…even a Kenyan Safari. I’ve personally purchased from Jetsetter and found it a very easy process and I got a great deal. Other flash sale travel websites include Vacationist, Voyage Prive, RueLaLa and SniqueAway. Consider yourself “invited”! Whether you like to travel or are buying for someone who does, I hope you find some gift suggestions to inspire you!